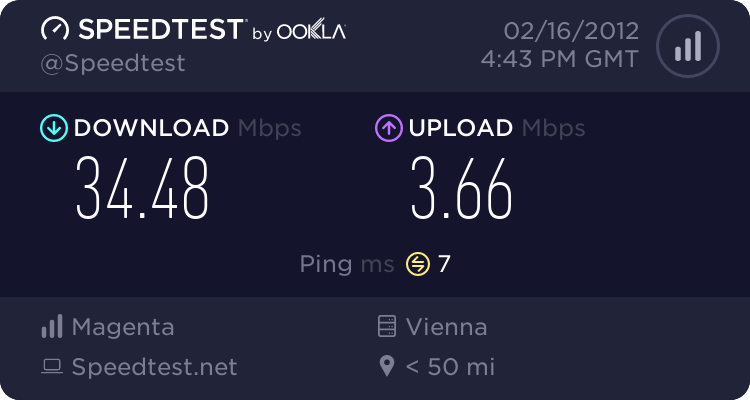 Oh I thought mine would be faster, my provider is advertising the fastest internet connections in Germany. 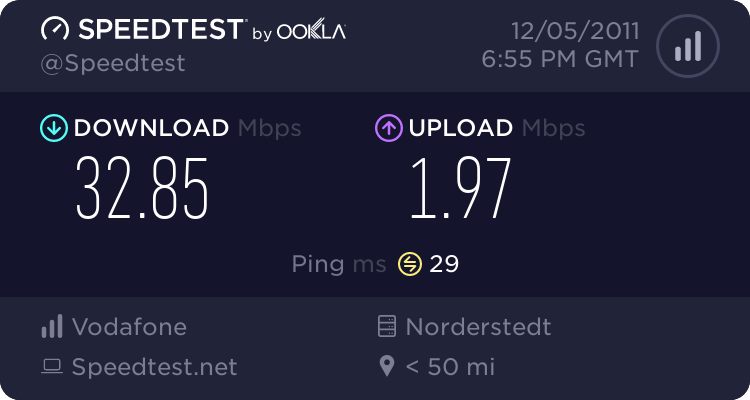 You must have the 100 Mbit connection? Not sure which one I have. Only that Kabel Deutschland keeps telling us that they are so fast! I'm actually pretty satisfied with my connection, up and download. But I was a bit surprised that it only got a B+ and not an A.
I checked my internet speed test here ScanmySpeed.com . Last edited by monuis on Thu Jun 26, 2014 11:28 am, edited 2 times in total.